ELIZABETH CITY, N.C. –– Become familiar with the 2016 Ram 2500 HD, including its various cab configurations, design elements, performance capabilities, and modern technologies that make the 2016 Ram 2500 HD one of the great heavy-duty pickup trucks of today. The 2016 Ram 2500 HD comes available in multiple cab configurations and trim levels. For the Regular Cab: Tradesman and SLT. For the Crew Cab: Tradesman, SLT, Laramie, Power Wagon, and Longhorn. And for the Mega Cab: SLT, Laramie, and Longhorn. 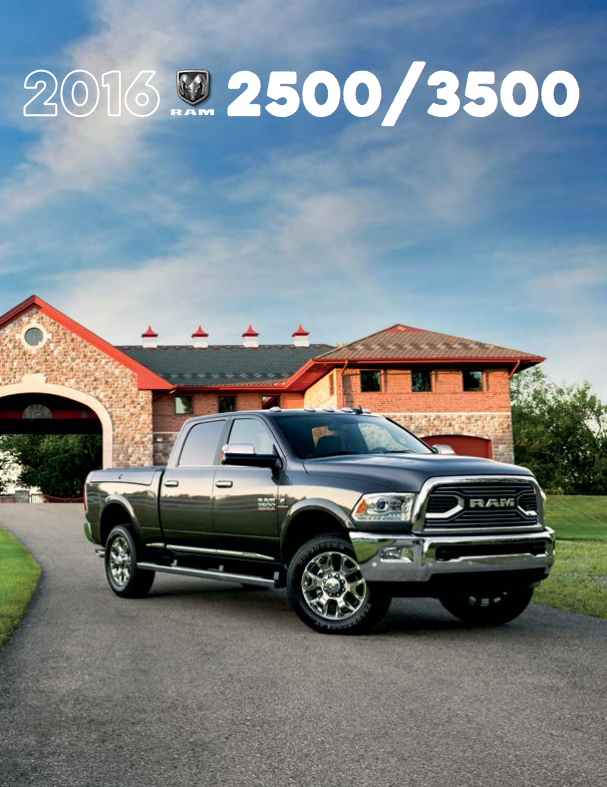 You can find all of the facts and details on the 2016 Ram 2500 HD in the downloadable 2016 Ram 2500 HD brochure and decide which specifications of each cab configuration and trim level, plus a wide range of extra features, fit your needs best.